Join us on Sunday 7th April and Saturday June 1st for our special Volunteer Open Days. Morning and afternoon slots will include a behind the scenes tour, tea and cake and a chance chat to existing volunteers and find out what its all about! Have you got some spare time on your hands? Looking for a new hobby? Fancy making new friends? Or perhaps you're looking to gain some practical experience before starting or returning to work? 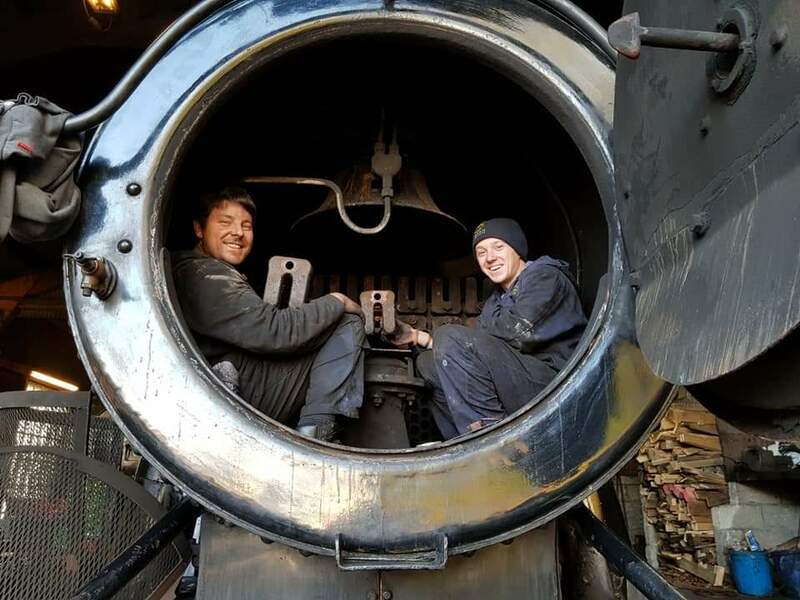 Well, volunteering at the Bodmin & Wenford Railway could be for you! We are always keen to hear from anyone, aged 16 and over, who would like to get involved, and no prior experience is necessary. Our volunteers are involved in all aspects of operating the railway, in roles as diverse as: steam and diesel engine drivers, steam engine firemen, signalmen, guards, ticket inspectors, station masters, booking office staff, on-train buffet staff, track and signal maintenance, locomotive repair, coach restoration and maintenance, locomotive cleaning, shop, station and general maintenance – there really is something for everyone! Where necessary, training is provided for what is a really fun and rewarding pastime, so if you would like to find out what is involved, just get in touch or book a place on our Volunteer Open Days on 7 April or 1 June. There is no minimum commitment and you are free to attend as often as you wish, but beware… steam railways are addictive! Call 01208 73555 to book your place. We look forward to seeing you there! Don’t miss this and our other 2019 special events. Follow us on Facebook, Twitter and Instagram, and get on-board with our mailing list for all the latest news, events and offers. A special intensive timetable day of EE thrash, double the locos, double the runs, double the thrash! Take a journey back in time inside one of our beautiful vintage carriages. Join us for the day as we celebrate the golden era of travel. Following their visit to Penzance Long Rock depot for open day, GB Railfreight Class 66 and 73 locos will be visiting the Bodmin & Wenford Railway on Sunday 14th April for an impromptu diesel event!